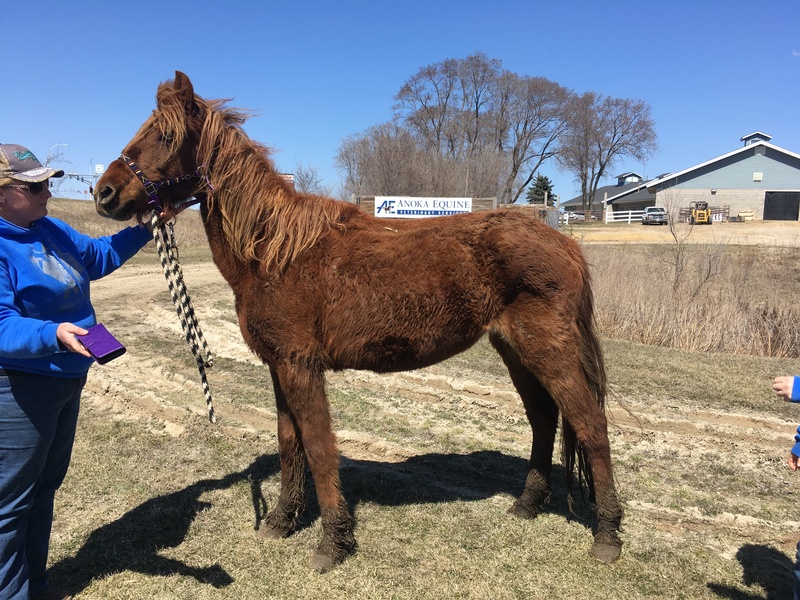 This chestnut mare came to us from a late-April 2018 Brown County humane case. 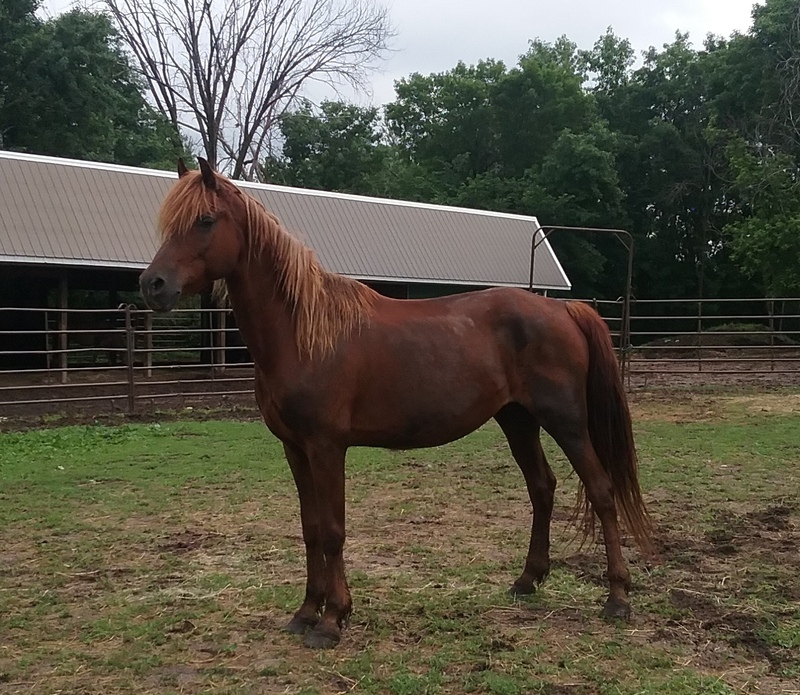 Her estimated age is early to mid-teens and she stands approximately 14.2hh. 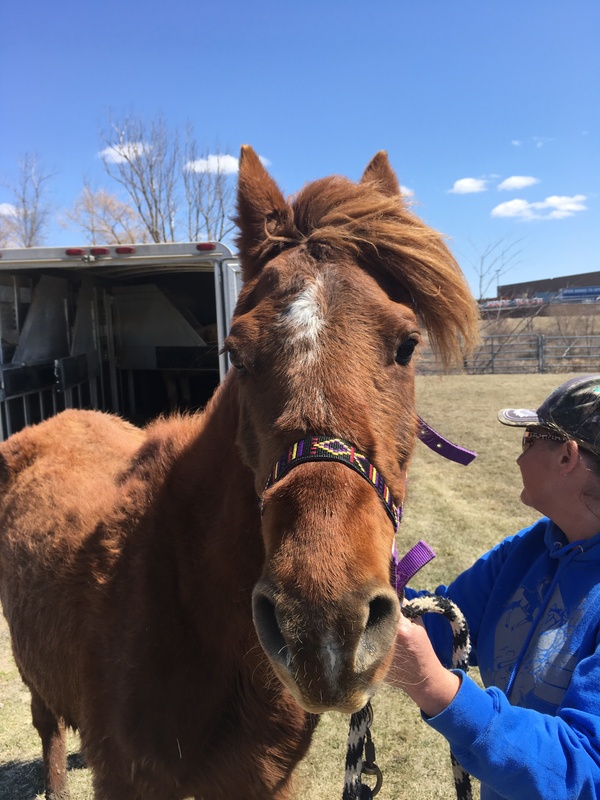 We have DNA confirmation from the Canadian Morgan Horse Association (thank you to the American Morgan Horse Association for their assistance on this!) that she is a purebred Morgan. Her sire is Sable Knight Kursier and her dam is Krila’s Eagle Feather. 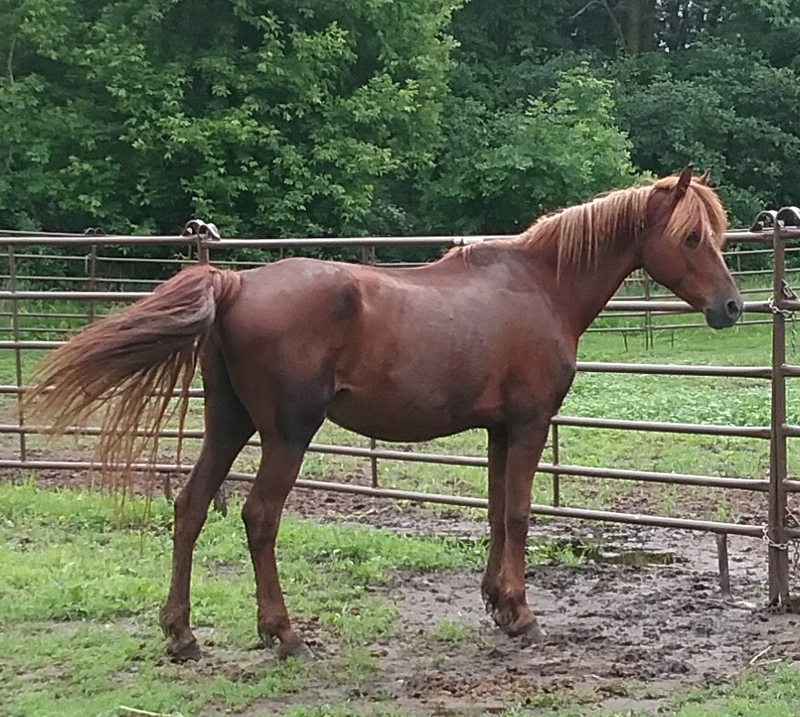 This mare is not registered but she is registerable. All of her vet work has been completed, including dental and preg-check (not in foal). She is now at a decent weight and is ready to find a new home. She’s very pretty and a nice mover. 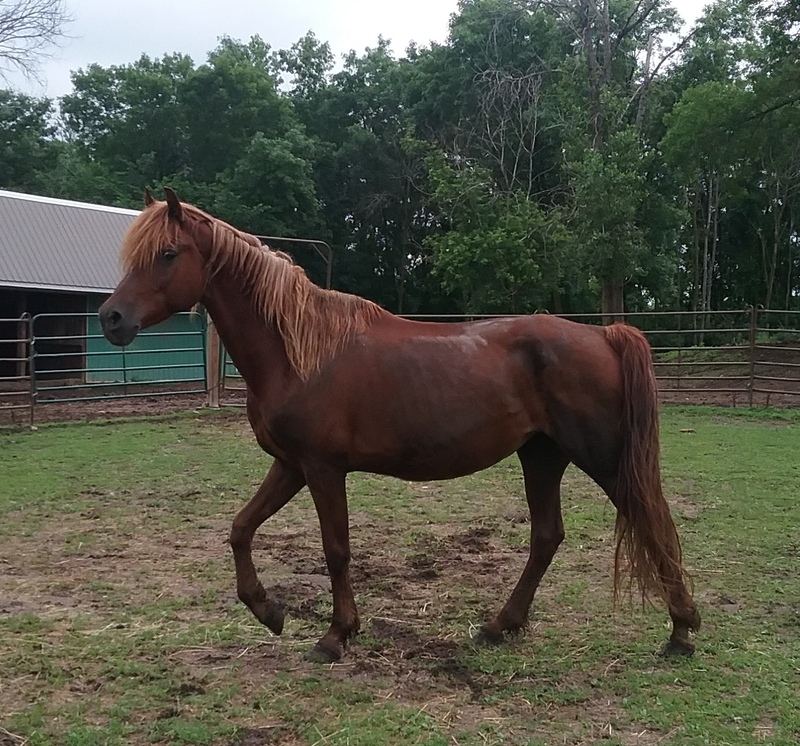 She is not broke to ride to so she has been placed with trainer Gretchen Kapeller for our 2019 Trainer’s Challenge. She will spend the spring and summer in training and will compete in the Challenge on Sept. 7th. 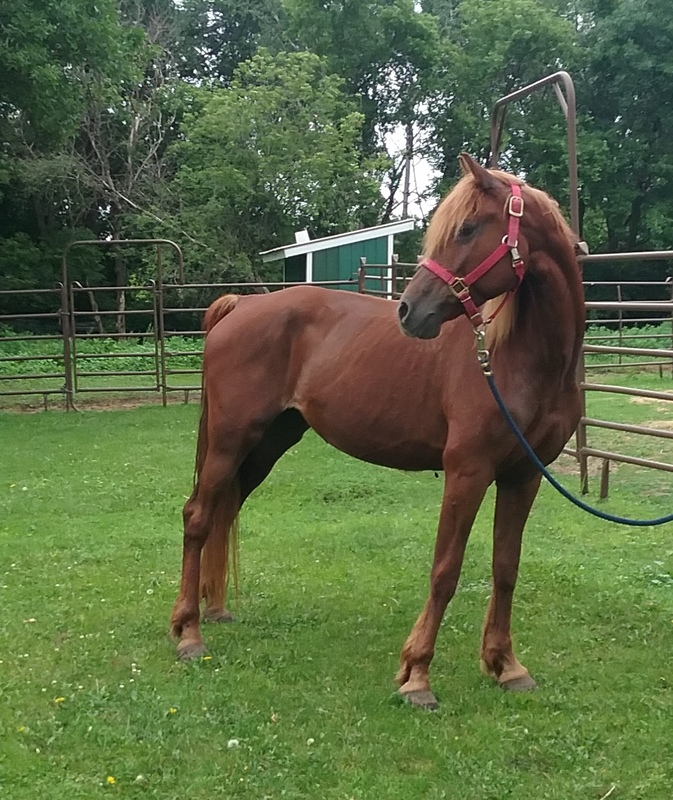 For more information on how to adopt Delia or any of the other horses at the Trainer’s Challenge, please visit our Adopting a Trainer’s Challenge Horse page. You can follow Gretchen and Delia’s journey on Delia’s Facebook Page!